The Băile Tuşnad speech of Hungarian Prime Minister Viktor Orbán must be analyzed in a wider contex: The Orbán regime is systematically taking control of all institutions that could have a role in containing the power of the government. As the Hungarian Prime Minister announced in his speech on 26 July, his government is building an “illiberal state” within the European Union. 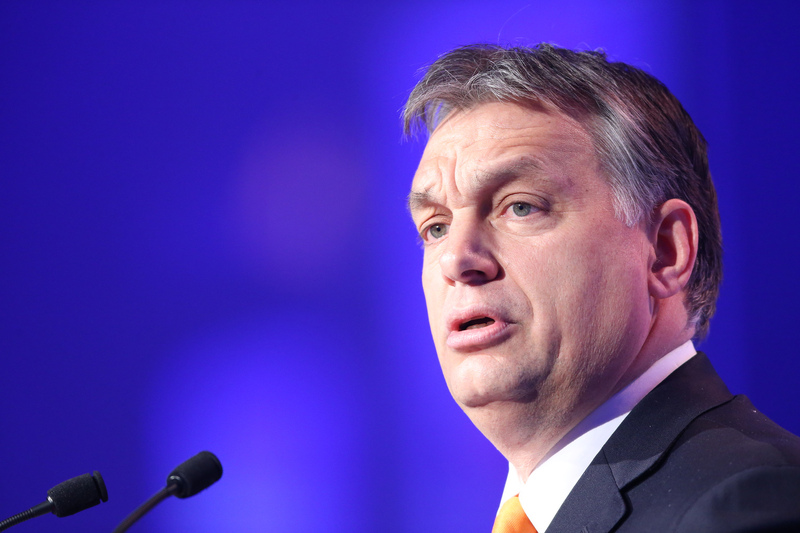 Knowing the measures implemented by the Orbán-government between 2010 and 2014, this information was not news; however, the speech has received remarkable reactions in the Hungarian and international media alike. The main reason for this is that Viktor Orbán spoke about his “illiberal” political system in an exceptionally open and explicit manner, even though the widely-used general meaning of the term refers to a limited democracy, a sort of autocratic setup. Not surprisingly, leaders of such states do not usually volunteer to label themselves “illiberal” – nor have representatives of the Hungarian government done so up to this point. Both the study of Tellér and the Orbán speech building upon it stem from an intention to surpass the political systems that developed after the change of regimes in 1990 and to create a new system. According to Orbán’s words, “the intellectual challenge that faces us is to use the regime change only as an experience and no longer as a point of reference in our debates”. The necessity of building a new system is also explained by the international context in the Prime Minister’s speech, as in his understanding the global economic crisis that burst out in 2008 has caused changes in the world comparable in importance to the two world wars as well as to the regime changes of 1989-1990. What the prime minister means by the phrase “work-based state” is not clear, not from this speech, nor from his previous ones. The phenomenon he describes could be primarily juxtaposed to that of the welfare state; on the level of a political communication, it also includes the promise of creating workplaces while satisfying the views of right-wing voters regarding welfare-chauvinism and the rejection of the idea of state benefits. The practical manifestation of the “work-based state” began with the extension of the concept of "public service” and significant cuts to social services in Hungary over the past four years. To be clear: Viktor Orbán and his fellow political followers will decide, without any debate, what the “national interest” means in a certain context (which may even override individual rights), as according to FIDESZ, the national interest is a tautology. The Orbán government represents the national interest, and therefore the national interest is always equal to whatever the government is doing (and criticizing this fact is a betrayal of the interests of the nation). Who could contain the power of the government? The Băile Tuşnad speech must be analyzed in a wider context. In fact, the construction of an “illiberal state” in Hungary – meaning a system based on elections but still consisting of an authoritarian hierarchy – is not only clear from this speech, but also from the past few years of government. It is clear from the gradual limitation of the rights of the Constitutional Court, and stacking the governing body of the court with new, government-related members (as has been stated by the president of the Constitutional Court himself, almost explicitly); from tailor-made, irreasonable enactment; from the reshaping of the parliamentary and local election systems according to the interests of the governing parties; from the one-party constitution (“basic law”); from the work of an Attorney General who cannot be impeached; from the centralisation affecting literally everything; from the media law; from the loyal, parallel institutional system that is being built in the cultural and academic spheres; and ultimately from the destruction of the system of the separation of powers. The Orbán regime is systematically cutting out or taking control of almost all institutions that could have a role in containing the power of the government. Today there are basically three such institutions left that perform these framing functions. One is the European Union, which can only interfere with certain measures taken by the Orbán government if they explicitly violate the rights of Community law and which is divided and weak politically: The European Commission did not even wish to comment on this speech. Another institution is that of the political opposition, whose weakness is only partially explained by its institutional adversity and who is incapable of using public space still left. The last institution is the generally-weak Hungarian civil society, certain watchdog organisations of which have been institutionally persecuted by the state recently. This is shown by the conflict that evolved around the Norway Grants, to which Orbán clearly alludes, by the way, in his speech when he, following in the shoes of Putin, calls NGOs that work on revealing corruption in the government “political activists financed by foreigners”. Since the change of regimes, it has been stated in several Hungarian and international comparative research pieces that Hungarian society has a strong need for paternalism. A larger share of Hungarians are disappointed by the economy and political system that developed after the change of regimes, they see their downsides and are in favour of a strong state (in spite of not trusting government institutions). The currently-governing FIDESZ was the party offering the most efficient politics based on these social expectations and beliefs through the use of an ideology that, in certain of its elements, can be placed alongside what Fareed Zakaria says are the characteristics of Putinism (nationalism, religion, social conservatism, state capitalism, media controlled by government). Orbánism is benefiting in the same time from the Putin example and from Hungarian traditions and philosophical history. It identifies and fetishizes the nation, the governing political party and the state while making liberalism and liberal democracy responsible for everything wrong, as the institutions of liberalism have never fully functioned in Hungary. Orbán almost explicitly places government corruption in the light of the national interest, (for example, following the above-mentioned ideologist Gyula Tellér) when he sometimes openly talks about the building of a certain “national middle class” related to the party, a class he tries to feed with public funds, regarding this all as salutary (as opposed to the felonious clientele-building of the political opposition that ruled before 2010). This omnipotent political system would, moreover, produce a lot of money for its beneficiaries. That is the reason why the West has to be seen as in decay in the Orbánism system, and that is why the 2008 economic crisis, compared to the importance of the world wars of the 20th century, has to be still-ongoing in his depiction: To maintain this exceptional state in which the institutions of the constitutional state and the procedures of liberal democracies cannot limit the powers of a government that embodies a nation – since, according to Orbán, this is crucial in an era when (to quote from his Băile Tuşnad speech) “anything can happen”. The phrase “public service” refers to labour organised by local municipalities and financed by the state, serving, in theory, to reintroduce the unemployed into the labour market. In practice however, public service in its current form does not support long-term employment, nor does it reduce poverty. It provides minimal access to social care, improves employment statistics, and places employees in a defenceless, dependent position vis-à-vis their employer, the local municipality. In 2011 the government privatised private pension funds worth 3 trillion Forints, of which about 230 billion has been transferred back to the citizens as real return; about 500 billion has been used to lessen the deficit of the pension funds; 200 billion worth of stocks have been placed at Hungarian National Asset Management Inc.; and more than 2 trillion has been used completely inefficiently for reducing debts. Currently the state debt is 85.1% of GDP, which is unprecedented since 2010. In the Romanian spa town Băile Tuşnad, Viktor Orbán declares the post-communist period to be over and evokes a new Hungarian community in front of 8,000 students.